The Department of Dramatic Arts form a vital part of our Faculty and its international mission. 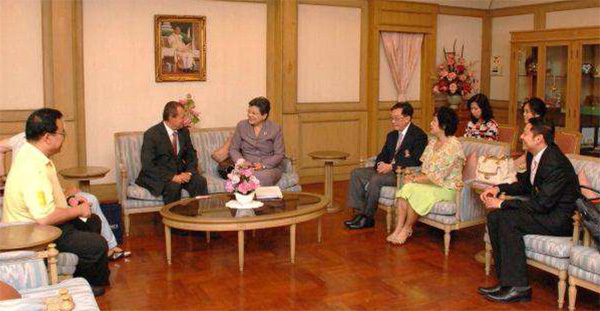 The latest proof took place when a trilateral collaboration program with Hong Kong and Singapore was initiated. 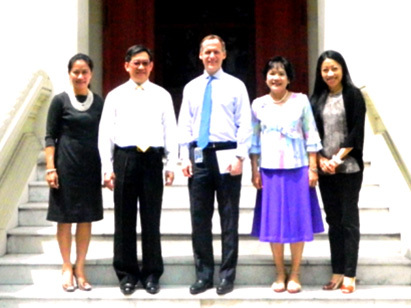 From August 20-23, 2015, representatives from the three regions met to discuss this: Prof. Dr. Ceri Sherlock (Chair of the School of Drama of the Hong Kong Academy for Performing Arts), Dr. Amanda Morris (Dean of Faculty of Performing Arts) and Mr. Adam Marple from LaSalle College of Arts in Singapore, Assist. Prof. Dr. Prapod Assavavirulhakarn, the Dean of our Faculty of Arts, and Assoc. 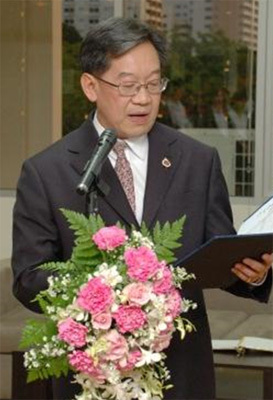 Prof. Surapeepan Chatraporn, the Deputy Dean for International Affairs. Also participating in the meeting which specially tracked the progress of the trilateral collaboration were Ajarn Dangkamon Na-pombejra, Head of the Dramatic Arts Department, Assoc. 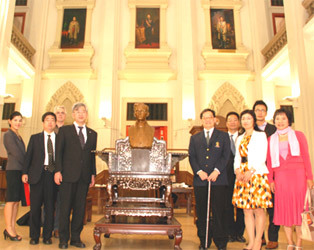 Prof. Pornrat Dumrung, and Assoc. 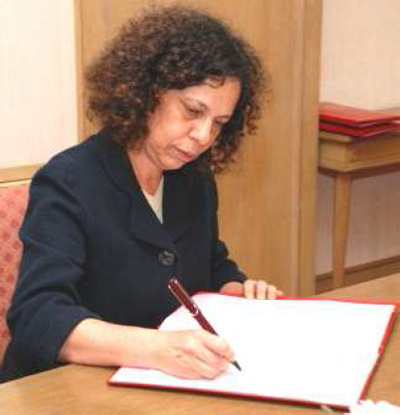 Prof. Charunee Hongcharu, who is the key person. The three institutions named above have a plan to jointly produce William Shakespeare’s A Midsummer Night’s Dream with students from each of them at the Faculty of Arts, Chulalongkorn University, after a two-week workshop in early June 2016. At the moment, the three institutions are discussing the draft trilateral memorandum of understanding. A similarly lively exchange of ideas and cooperation exists with Japan. Fukui University had visited the Faculty before, and cemented the relationship with our Faculty further on August 17, 2015: Assoc. Prof. Surapeepan Chatraporn, Deputy Dean for International Affairs, welcomed Prof. Dr. Hideo Teraoka, Vice President, and Prof. Dr. Koji Kobata, Director of International Center. The visit followed up on the cooperation between the Faculty of Arts and the Faculty of Global and Community Studies of Fukui University. Assoc. 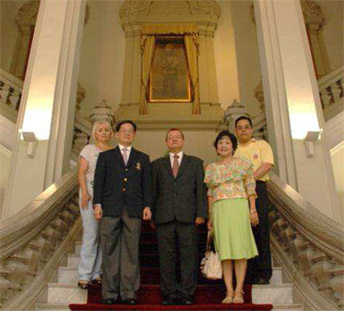 Prof. Surapeepan walked the Vice President and Prof. Dr. Kobata through Maha Chakri Sirindhorn, Maha Vajiravudh, and Maha Chulalongkorn buildings. Two weeks after their visit, the Faculty of Global and Community Studies officially approved the draft agreement that the Faculty of Arts proposed, and sent the draft MOU and Agreement on Academic Exchange to be signed by Assist. Prof. Dr. Prapod Assavavirulhakarn, Dean of the Faculty of Arts, in conjunction with Prof. Dr. Hideo Teraoka, Vice President and Dean of the Faculty of Global and Community Studies of Fukui University. Chula’s collaboration with China continues: Assoc. 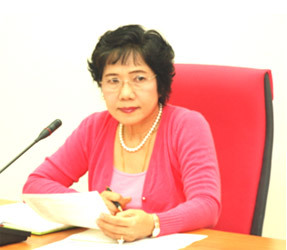 Prof. Surapeepan Chatraporn, the Deputy Dean for International Affairs, was invited by the University to join its delegation to visit and discuss the possibility of cooperation with universities in Guilin and Nanning Prefectures from May 10 to 14. To follow up on this matter, Guangxi University in Nanning invited 20 Arts students to participate in the 2015 “Guangxi University’s Experiencing Chinese Camp for Students from ASEAN Countries” with 150 more students from other ASEAN countries from July 20-26, 2015. Guangxi University is responsible for accommodation, food, class participation, cultural trips, and domestic travel arrangements. 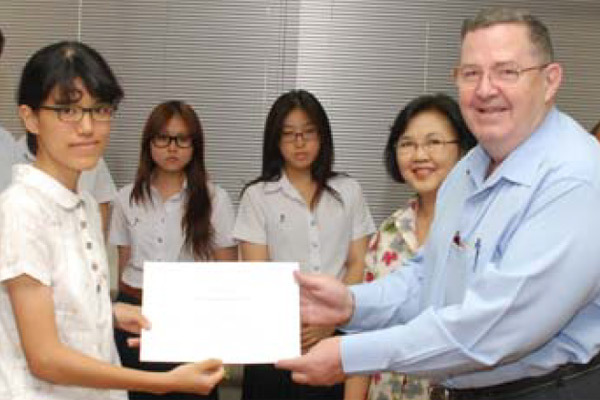 Arts students are responsible for their own Bangkok-Nanning-Bangkok air fares. As the invitation was on rather short notice, and the Chinese Camp was held during the semester break, there were less than 20 Arts students who signed up. Thus, International Affairs let students from other Faculties participate to gain knowledge and experience, and build a connection with Chinese and ASEAN students. 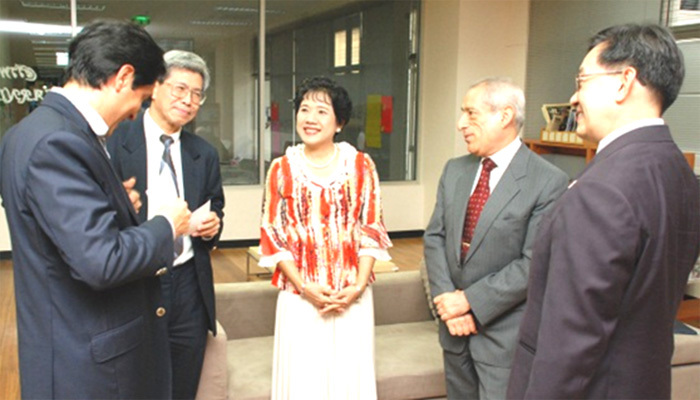 Guangxi University can claim a long history of both academic excellence and research expertise. The university was founded in 1928. Now 9 disciplines are offered: philosophy, Economics, Law, Languages, Science, Engineering, Agriculture, Management, and Education. The university constitutes a cooperation between the Chinese Ministry of Education and the Guangxi Autonomous Region, and is also named “Project 211.” The institution takes up 307.19 square kilometers, is composed of 20 colleges, and offers 85 undergraduate programs, 143 master’s programs, and 10 PhD programs. Currently, there are 19,879 undergraduate students, 4,145 master’s students, and 181 PhD students. 281 international students complement the 28,000 local ones. Our Faculty is one of the few Thai institution with strong ties to Portugal, and specifically to one of its flagship colleges, the University of Coimbra. A joint MOU is already in place, so when on January 12, 2015, Professor Joaquim Ramos de Carvalho (the Vice President for Foreign Affairs) and Professor Jose Pedro Paiva (the Dean of Faculty of Arts and Humanities), visited the Faculty of Arts, even more concrete steps were discussed. Welcomed by Associate Professor Surapeepan Chatraporn (the Deputy Dean for International Affairs) Ajarn Dr. Penpisa Srivoranart (lecturer of Spanish in the Department of Western Languages), Assistant Professor Dr. Pittayawat Pittayaporn (lecturer of the Department of Linguistics), and Ajarn Dr. Tul Israngura Na Ayudhya (lecturer of the Department of History), the guests from Portugal discussed opportunities for student and teacher exchange, plus research collaboration, with the Chula counterparts. As a result, students from University of Coimbra may take classes in the BALAC, and Arts students both in the Thai and BALAC programs may study Portuguese in the summer, and the credits are transferable. The University of Coimbra will cover part of the food and accommodation cost for Arts students. 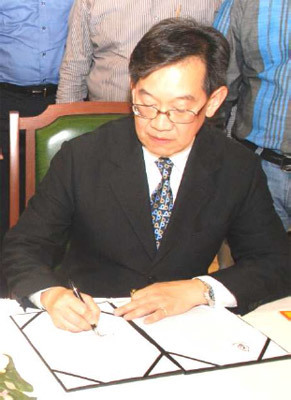 Associate Professor Surapeepan Chatraporn suggested singing a joint Student Exchange Agreement to facilitate student exchange between the two universities. 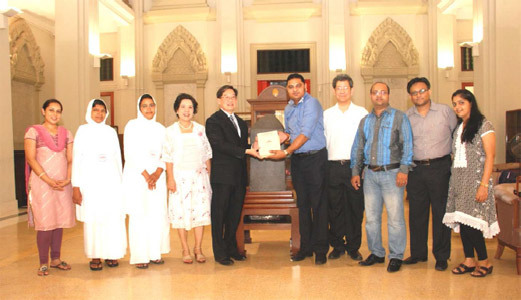 AIMS one again: On October 31, 2014, Assistant Professor Dr. Prapod Assavavirulhakarn, the Dean of the Faculty of Arts, and Associate Professor Surapeepan Chatraporn, the Deputy Dean for International Affairs, Assistant Professor Dr. Voravudhi Chirasombutti, the Head of the Japanese Section, the Department of Eastern Languages, Associate Professor Charunee Hongcharu, lecturer of BALAC’s Music and Culture, and Ajarn Dr. Lowell Skar, BALAC lecturer welcomed a delegation from renowned Sophia University, Tokyo, Japan. The delegation included Professor Dr. Tak Watanabe from the Faculty of Liberal Arts, Associate Professor Dr. Davisi Boontharm from the Center of Global Discovery, Faculty of Foreign Studies, and Ms. Hanna Tajima from the Office of Global Education and Collaboration. The exchange program between the Faculty of Arts and Sophia University, or a discussion of its finer points, was what had brought the distinguished guests here. In this semester, there are five students from Sophia University taking classes at BALAC, with financial support from Sophia University. In the next semester, five students from BALAC will be taking classes at Sophia University. Under the agreement between the two universities, Chula students do not have to pay tuition, but have to pay for their own air fares and accommodation. Because of the very high living cost in Tokyo, the Faculty of Arts asked Sophia University to cover the accommodation cost for Chula students as well. The negotiation went well: Sophia University agreed to cover not only the accommodation cost but also round-trip air fares for Chula students. Assistant Professor Dr. Prapod hosted a lunch for Sophia University Representatives at Jade Garden in the Montien Hotel. 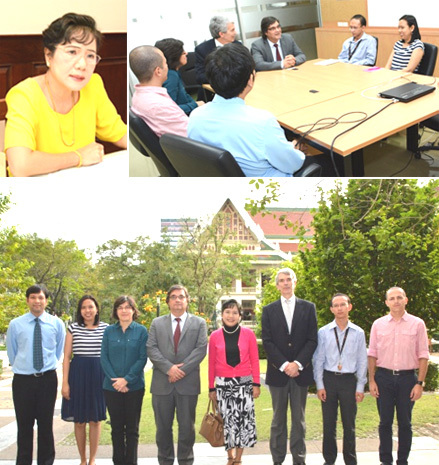 On October 28, 2014, another group of guests from the United States arrived: Assistant Professor Dr. Prapod Assavavirulhakarn, the Dean of the Faculty of Arts, and Associate Professor Surapeepan Chatraporn, the Deputy Dean for International Affairs welcomed Professor Dr. Susan Morgan, Distinguished Professor of English, and Professor Dr. Eric Goodman, the Director of Low-Residency MFA and Professor of English from Miami University, USA. The purpose of their visit was to sign an agreement between Miami University and Chulalongkorn University, and to acquire information on the BALAC program to prepare for an exchange program of the two universities. 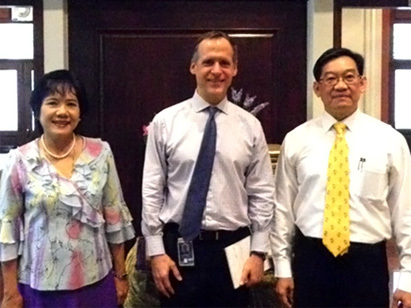 On their visit, the two professors brought along a Memorandum of Understanding (MOU) that was signed by the President of Miami University to present to the President of Chulalongkorn University. The Office of International Affairs forwarded the MOU to the Office of International Affairs and Networks for the President to sign. Nottingham Trent University is becoming a popular destination for BALAC students, and so the Faculty was pleased to welcome its Professor Dr. Murray Pratt, the Dean of the School of Arts and Humanities, who visited the Faculty of Arts on September 17. 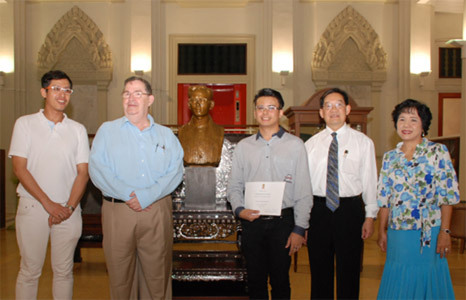 He was received by Assistant Professor Dr. Prapod Assavavirulhakarn, the Dean of the Faculty of Arts, Associate Professor Surapeepan Chatraporn, the Deputy Dean for International Affairs, Assistant Professor Thosaeng Chaochuti, Ajarn Dr. Lowell Skar, and Ajarn Dr. Simon Turner. Prof. Pratt had come to discuss the possibility of establishing a dual degree program between the Faculty of Arts, Chulalongkorn University, and the School of Arts and Humanities, Nottingham Trent University, which would allow students to take classes at both universities. The Arts students would spend their first year at Chula, the second year at NTU, the third year at either NTU or a European university that NTU has an agreement with, and the last year at Chula. The Dean clarified that the Faculty had to get approval from the university prior to establishing any dual degree program; however, the Faculty can still carry out other exchange programs. 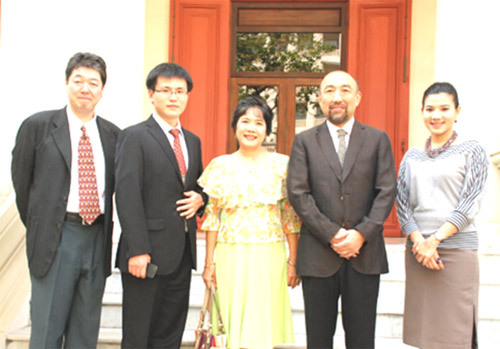 The importance of AIMS is underscored by another visit from Japan: On September 9, 2014, Professor Dr. Yusuke Toyoda, the Deputy Dean of the College of Policy Science, and Dr. Piyada Chonlaworn from Ritsumeikan University (one of Japan's leading private universities) came to the Faculty of Arts to discuss the cooperation under AIMS. They were welcomed by Associate Professor Surapeepan Chatraporn, the Deputy Dean for International Affairs, Assistant Professor Dr. Duantem Krisdathanont, Assistant Professor Thosaeng Chaochuti, Ajarn Dr. Asadayuth Chusri, and Ajarn Dr. Lowell Skar in Room 815 of the Maha Chakri Sirindhorn Building. Our Japanese visitors wished to discuss the student exchange program, especially in terms of the number of students, the time period, courses with transferable credits, and activities. Professor Dr. Yusuke Toyoda will convey the result of the meeting to Ritsumeikan University. The student exchange program begins in the second semester of 2014. Japan is another great focus of the international outreach. Under the so-called AIMS-HU, ten students from the Faculty of Arts went on an exchange program to Hiroshima University, from March to July, 2014, and seven students from Hiroshima University attended classes at BALAC in the first semester of 2014. Professor Dr. Taiji Hotta, the Deputy Dean of the Office of International Affairs, Ms. Saori Nakaie, the Head of the International Exchange Group, and Ms. Tomoko Sasaki, the AIMS-HU Coordinator, visited the Faculty of Arts to learn about the students’ visits and their activities, and to acquire information on classes and activities arranged by the Faculty for the Japanese students. Apart from this, the future was also discussed, in the form of internship opportunities for the Arts and the Japanese students as a part of AIMS-HU. 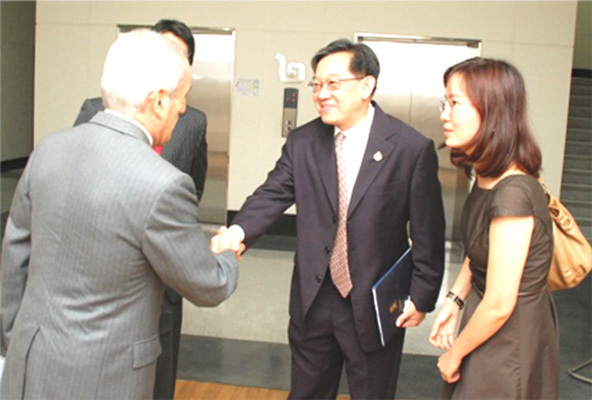 The cooperation with various branches of California State University, one of the world's largest systems of higher education, is constantly growing. In August, it was CSU San Bernardino's turn. Associate Professor Surapeepan Chatraporn, the Deputy Dean for International Affairs, Assistant Professor Dr. Duantem Krisdathanont, the Deputy Director of BALAC, Ajarn Dr. Lowell Skar and Ajarn Albert Bosch, BALAC lecturers, welcomed Dr. Jack Paduntin, the Deputy Dean of the College of Extended Learning and Executive Director of the International Extension Programs on August 5, 2014, at the Dean’s Office. 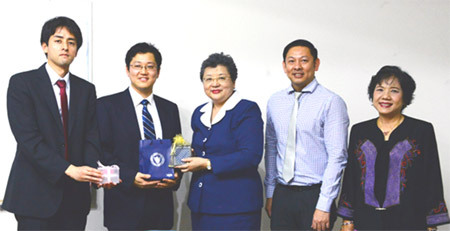 The purpose of his visit was to discuss the Student Exchange Agreement between Chulalongkorn University and California State University, San Bernardino. The two universities already have exchange programs, but no student exchange agreement yet. This agreement would allow actual student exchanges between the two universities. As important as cultural events and the cooperation with embassies are, the internationalization-focused work of the Faculty would be incomplete without the crucial issue of student exchange. This topic was on the agenda in Room 202 of the Chamchuri 3 Building on March 13, 2014. Assist. 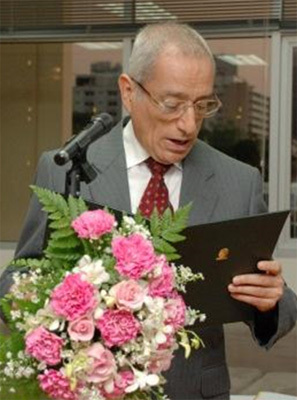 Prof. Dr. M.R. Kalaya Thingsabadh, Deputy Dean for Academic Affairs, Assist. Prof. Dr. Kriengkrai Boonlert-U-Thai, Assistant to the Rector for International Affairs (and acting on behalf of the Director of the Office of International Affairs), and Assoc. Prof. Surapeepan Chatraporn, Deputy Dean for International Affairs welcomed Prof. Dr. Tak Watanabe from the Faculty of Liberal Arts, and Mr. Ei Nakayama, an international liaison officer, from Sophia University, Japan. The purpose of their visit was to facilitate the AIMS Program, which is an exchange program arranged by Chulalongkorn University and Sophia University. Five students from Sophia University will be taking BALAC classes starting in the August-December semester of 2014, and five BALAC students will be taking classes at Sophia University starting in the April-July semester of 2015. The AIMS Program is a five-year program, from 2014 to 2019. Arts students will be provided with free accommodation at Sophia University. It goes without saying that Japanese visits to our campus are not the only aspect of cooperation with the East Asian nation: meaningful and long-lasting exchange needs students who can experience Japan. It was this idea that framed the December 18 meeting of Assist. Prof. Dr. Prapod Assavavirulhakarn, Dean of the Faculty of Arts; Assoc. Prof. Surapeepan Chatraporn, Deputy Dean for International Affairs; and Assist. 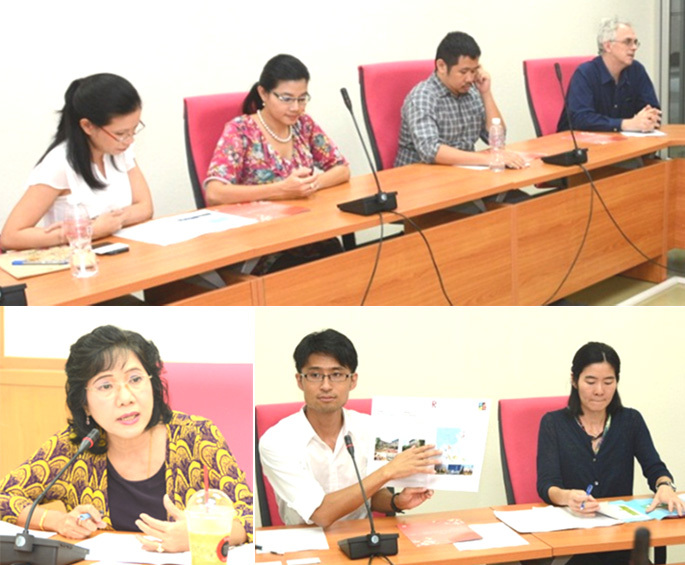 Prof. Dr. Duantem Krisdathanont, Deputy Director of BALAC, with visitors from Hiroshima University, Japan, in Room 814 of the Maha Chakri Sirindhorn Building. 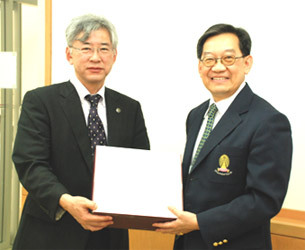 The delegation included Professor Dr. Taiji Hotta, Vice-President of International Affairs; Dr. Makoto Katsube, Dean of the Graduate School of Letters; and the Dean of the Faculty of Letters. The purpose of their visit was to build cooperation between the two universities and to sign an agreement for the AIMS-HU Program, which facilitates student exchanges starting in 2014. Nine BALAC students have already been selected as exchange students to Hiroshima University for the April-July semester of 2014, and students from Hiroshima University will also be taking classes in the BALAC during the August-December semester later that year. The program is generously funded by the Japanese government, so BALAC students will not need to pay tuition and housing fees. Our Faculty’s efforts in internationalization do not end at Asia’s borders, of course. On January 9, 2014, Assoc. Prof. Surapeepan Chatraporn, Deputy Dean for International Affairs; and Ms. Waraporn Puangchanhom, Director of the BALAC program, welcomed Ms. Ruth Davison, Director for Foreign Affairs, from Leiden University in the Netherlands. 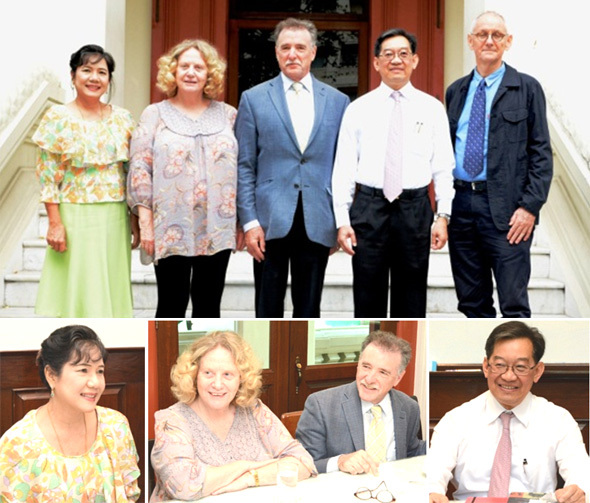 Intent on fostering academic cooperation and setting up an exchange program between the two universities, the representatives signed a Memorandum of Understanding and a Student Exchange Agreement between the Faculty of Arts of Chulalongkorn University and Leiden University’s Faculty of Humanities. These are effective for five years, beginning in February of 2014, and there will be two to four exchange students each year. Waseda University is a name that inspires awe, and so the Faculty was delighted to welcome Dr. Norimasa Morita, Dean of the School of International Liberal Studies; Dr. Min Shu, Director of AIMS; and Mr. Hitoshi Nagamura, Administration Director, of this prestigious Japanese institution. Assoc. Prof.Surapeepan Chatraporn, Deputy Dean for International Affairs; and Assist. 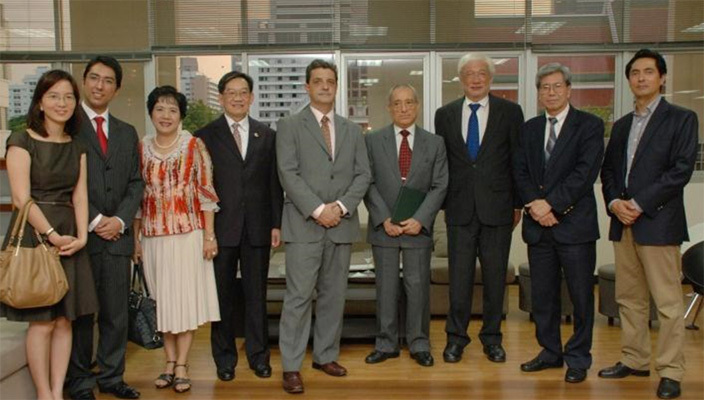 Prof. Dr. Duantem Krisdathanont, Deputy Director of BALAC, met with the delegation at 9 A.M. on February 3, 2014 in Room 814 of the Maha Chakri Sirindhorn Building in order to support the agreement between the Faculty of Arts and Waseda University in regards to the AIMS Program. The program requirements are: (1) exchange students must have good academic standing, defined as a GPAX of at least 2.75 and a TOEFL score of at least 550, (2) sixteen to twenty-one credits may be transferred, (3) not more than five exchange students are allowed each semester, (4) effective August 2014, Faculty of Arts students take classes at Waseda University from March to July and Waseda students take classes at the Faculty of Arts from August to December, (5) application deadlines are May 31 and January 31, and (6) students are responsible for airfare and accommodation. After the meeting, Assoc. Prof. Surapeepan Chatraporn took the representatives from BALAC and Waseda University to lunch at Baan Khanitha. The renowned Khyentse Foundation, founded in 2001 by Dzongsar Khyentse Rinpoche to promote Buddhism and Buddhist studies, does not only provide support for the management of an electronic database of Tibetan Buddhist scripts, but also promotes international tertiary education in Buddhist studies. 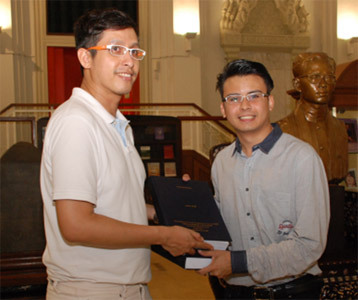 And it was to our Faculty's MA student, Mr. Natchapol Sirisawad, that the foundation's Peter Skilling presented one of their coveted scholarships. Presiding over the award ceremony in the Maha Chakri Sirindhorn Building's Learning Commons was Assistant Professor Dr. Prapod Assavavirulhakarn, Dean of the Faculty of Arts, while the awardee had been selected by the screening committee consisting of Associate Professor Surapeepan Chatraporn, Deputy Dean for International Affairs, Dr. Sirivan Chulakorn, and Dr. Charnwit Tadkaew. Khyentse scholarships are given to students at top universities worldwide such as the University of California at Berkeley, the University of Pennsylvania, the University of Sydney, the University of Hamburg and Peking University. 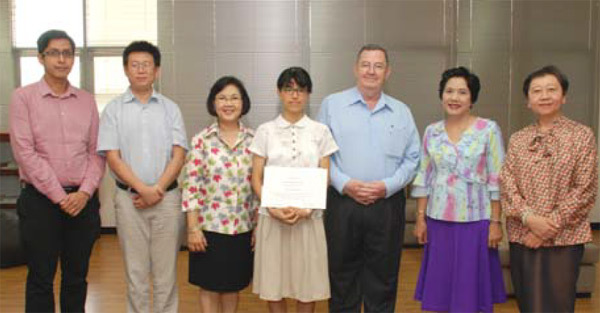 In Thailand, the Foundation has contributed US $3,000 to the Faculty of Arts, to be awarded to one student per academic year from 2011-2013. Each student will be awarded US $1,000. 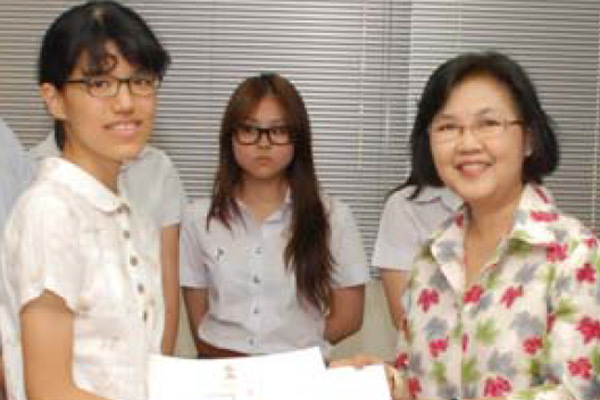 This was the last year of the three-year scholarship project for Chulalongkorn University. The Section of International Affairs, Faculty of Arts, has made a request to the Khyentse Foundation to renew this scholarship project for another three years from 2014 to 2016. The Board of the Khyentse Foundation has taken the request into consideration and will announce their decision in the near future. Prof. Pirom Kamolratanakul, M.D., President of Chulalongkorn University, and Maria del Carmen Moreno Raymundo, Ambassador of the Kingdom of Spain, signed a Memorandum of Understanding (MOU) between Chulalongkorn University and AECID (the Spanish Agency for International Cooperation and Development) on March 21, 2013. The witnesses of the signing ceremony included Associate Prof. Surapeepan Chatraporn, Deputy Dean for International Affairs, Assistant Prof. Wipada Petcharak, Ajarn Laura Castro Sanchez, both from the Spanish Section as well as Mr.Antonio Casado Rigalt, Cultural Attache. 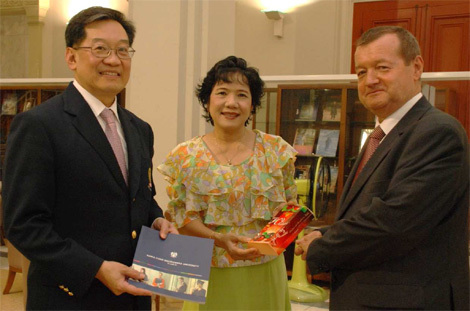 Before the signing ceremony, Deputy Dean Surapeepan Chatraporn gave a report to President Pirom Kamolratanakul about the close collaboration between the Faculty of Arts and the Spanish Embassy, particularly in terms of the academic assistance rendered by the Embassy for a good number of years. Her Excellency Ms. Maria del Carmen Moreno Raymundo expressed her delight in the close ties between the Faculty and the Embassy over the long years and reiterated her willingness to render more support both in academic and cultural aspects to the Faculty. President Pirom Kamolratanakul expressed his gratitude on behalf of the University for the ongoing assistance and discussed with the Ambassador about new ways and means of collaboration. The Latin American Studies Center, in cooperation with our Faculty’s Section of International Affairs, the Embassy of the Republic of Peru, and Runa Run-Peruvian Thai Association held a film festival entitled “Living Peru” between June 15 and 22, 2013 for Arts students, faculty members and the general public. The opening ceremony, which took place in the Learning Commons, Maha Chakri Sirindhorn Building, was presided over by His Excellency Mr. Emilio Irribarren, Charge d’ Affaires, and Assistant Prof. Dr. Prapod Assavavirulhakarn, Dean. Dean Dr. Prapod gave a welcome speech to the audience, and specifically the diplomatic personnel from various embassies, for instance, the Mexican Embassy and Chilean Embassy. His Excellency Mr. Emilio Irribarren gave an opening address. Dean Dr. Prapod shook hands with the Charge d’ Affaires and presented him with a token of appreciation. His Excellency Mr. Emilio Irribarren invited all the audience to a reception of authentic Peruvian food and drinks. A short Peruvian film which dramatically illustrated the challenges of preserving the culture of Peru in the contemporary world was screened in the video room. 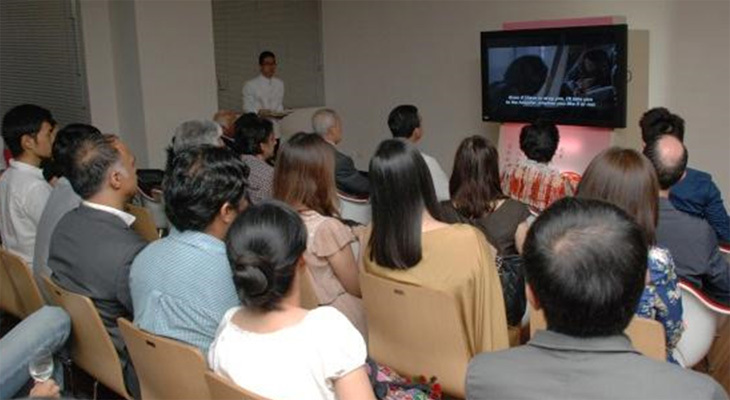 The Peruvian film festival was well received by both the students and the general public alike. This festival helped enhance long-lasting relations between the Embassy of the Republic of Peru and the Faculty of Arts especially the Latin American Studies Center headed by Ajarn Dr. Pasuree Luesakul. On June 6, 2013, Assistant Prof. Dr. Prapod Assavavirulhakarn, Dean, and Associate Prof. Surapeepan Chatraporn, Deputy Dean for International Affairs, welcomed Prof. Dr. Ryszard Dębicki, the Vice President of Maria Curie-Sklodowska University in Lublin, Poland and Associate Professor Kongkiti Phusavat from Kasetsart University, the Editor-in-Chief of the International Journal of Innovation and Learning, to the main hall of Maha Vajiravudh Building in order to further discuss the above-mentioned cooperation between Chulalongkorn University and Maria Curie-Sklodowska University in Lublin. Afterwards Dean Dr. Prapod and Deputy Dean Surapeepan Chatraporn took Dr. Dębicki and his wife to meet with Assistant Prof. Dr. M.R. Kalaya Thingsabadh, the Vice President for Academic Affairs, and Assistant Prof. Dr. Kriengkrai Boonlert-U-Thai, the Assistant to the President and Acting Director of the Office of the International Affairs, to the University Reception Room in Chamchuri 4 Building to discuss the details of the proposed Memorandum of Understanding so as to cover the various areas of mutual interests of the two universities. After the meeting, the University administrators hosted lunch for the guests at Khrua Dok Mai Khao Restaurant. Assistant Prof. Dr. Prapod Assavavirulhakarn, Dean, and Associate Prof. Surapeepan Chatraporn, Deputy Dean for International Affairs, acted as hosts to Mr. Michael J. Honnold and Ms. Kanchalee Jitjang, the Cultural Attache and Cultural Specialist, respectively, on June 3, 2013. The US Embassy invited the Faculty of Arts to co-host a dance workshop for Thai children by American professional dancers followed by a dance performance entitled “Battery Dance Company” by a renowned dance troupe from the U.S. The two charity events would take place at the Sodsai Puntumkomol Dramatic Center. The Dean also expressed his wish to invite the US Ambassador to pay a visit to the Faculty of Arts and to give a talk and meet with our students. The US Cultural Attache and the deputy Dean would get together to discuss this visit on a later date. Our Faculty’s special relationship with Poland was reinforced when on February 18, 2013 Assistant Prof. Dr. Prapod Assavavirulhakarn, the Dean, welcomed representatives from Marie-Sklodowska University: Prof. Dr. Artur Popek and Prof. Dr. Zbigniew Pastuszak, the Deans of the Arts and Economics faculties, who visited us to explore the possibility of academic and cultural cooperation between Chulalongkorn University and Marie-Sklodowska University in the Polish city of Lubin. On this occasion, Associate Prof. Surapeepan Chatraporn, Deputy Dean for International Affairs, Ajarn Dr. Verita Sriratana, special lecturer of the English Department, faculty members from the Faculty of Fine and Applied Arts, Chulalongkorn University as well as Dr. Tomasz Gerlach, First Consultant of the Polish Embassy, joined the meeting and discussion. Not only Chinese, but also Indian administrators are becoming increasingly aware of our Faculty. 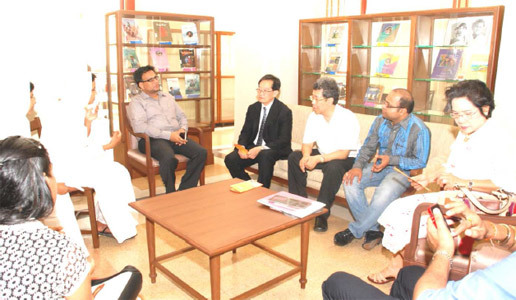 On February 7, 2013, an Administrative Team comprising seven professors from Jain Vishva Bharati University, India, came to visit the Faculty of Arts to establish formal relations between the two universities. The Memorandum of Understanding (MOU) was signed by Assistant Professor Dr. Prapod Assavavirulhakarn and Assistant Professor Dr. Samani Aagam Pragya on behalf of Professor Dr. Samani Charitra Prajna, Vice-Chancellor, Jain Vishva Bharati University in the newly-decorated room of the Arts library, Maha Vajiravudh Building. Witnessing the MOU signing ceremony were Associate Professor Surapeepan Chatraporn, Deputy Dean for International Affairs, and Associate Professor Dr. Soraj Hongladarom from the Department of Philosophy. The MOU lasts five years, from February 2013 to January 2018. The kind gift of valuable and rare books to the Faculty, given by Assistant Professor Dr. Samani Aagam Pragya deserves special mention and illustrates the significance of the occasion, which went beyond mere administrative discussion. The books will be placed in the library for the benefit of both the students and faculty members. The renowned Khyentse Foundation, founded in 2001 by Dzongsar Khyentse Rinpoche to promote Buddhism and Buddhist studies, does not only provide support for the management of an electronic database of Tibetan Buddhist scripts, but also promotes international tertiary education in Buddhist studies. And it was to our Faculty's MA student Sararat Nawato that the foundation's Peter Skilling presented one of their coveted scholarships. Presiding over the award ceremony in the Maha Chakri Sirindhorn Building's Learning Commons was Assistant Professor Dr. Prapod Assavavirulhakarn, Dean of the Faculty of Arts, while the awardee had been selected by the screening committee consisting of Associate Professor Surapeepan Chatraporn, Deputy Dean for International Affairs, Dr. Sirivan Chulakorn, and Dr. Charnwit Tadkaew. Khyentse scholarships are given to students at top universities worldwide such as the University of California at Berkeley, the University of Pennsylvania, the University of Sydney, the University of Hamburg and Peking University. 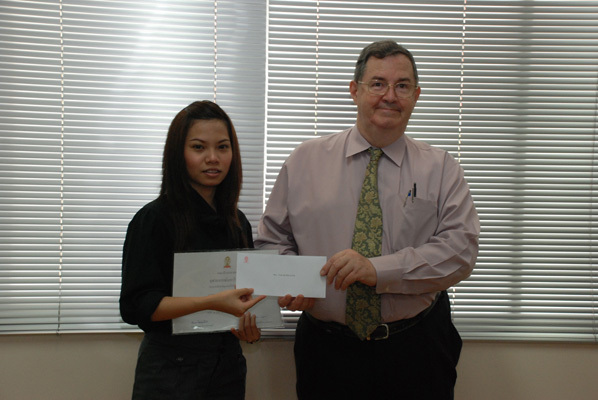 In Thailand, the Foundation has contributed US $3,000 to the Faculty of Arts, to be awarded to one student per academic year from 2011-2013. Each student will be awarded US $1,000. The Foundation will discuss the possibility of further support with the Faculty of Arts' International Affairs division. Assistant Professor Dr. Prapod Assavavirulhakarn, Dean of the Faculty of Arts, signed an agreement with Professor Dr. Oliver Huck, Dean of the Faculty of Humanities and Cultural Sciences, University of Hamburg,Germany, on June 29, 2011. The Agreement aims to enable the exchange of scholars, researchers, lecturers and students, to establish academic and cultural cooperation as well as to enhance friendship and create a better understanding between the people of the two countries. This agreement lasts 3 years. The University of Hamburg, which was established in 1919, is one of the largest universities in the Federal Republic of Germany with a student population of 38,000. There are 11,600 supporting staff members and 4,100 faculty members, 650 of whom are full professors. The Faculty of Humanities and Cultural Sciences comprises six departments, namely, Protestant Theology; Languages, Literature and Media; History; Philosophy; Cultural History and Contemporary Culture; and Asia-Africa Sciences. 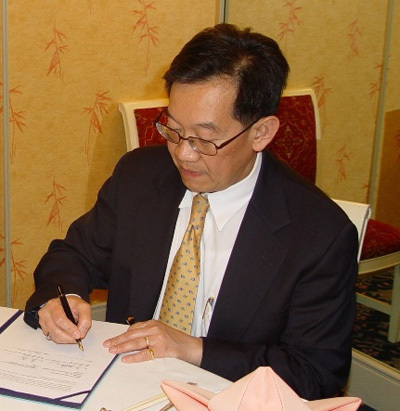 Assistant Professor Dr.Prapod Assavavirulhakarn, Dean, signed an Agreement with Professor Huang Ming, Dean, School of Foreign Languages and Cultures, Chengdu University, on Monday, January 10, 2011 in the Jade Garden Room, Montien Hotel, Bangkok. 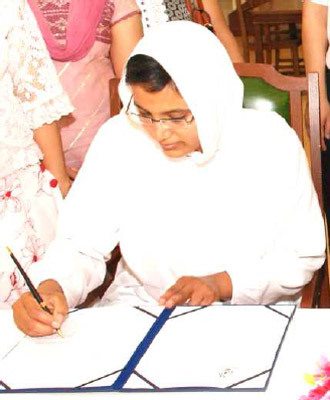 Associate Professor Surapeepan Chatraporn, Deputy Dean for International Affairs, will be in charge of the contract and any activities that will ensue. 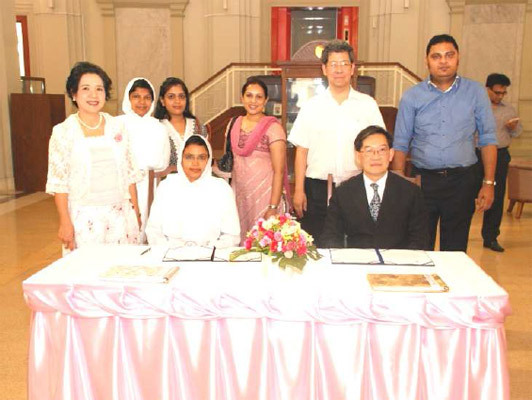 Associate Professor Dr.Prapin Manomaivibool, Director, Asia Research Center, was the consultant in drafting and signing the Agreement. occasion, the Dean signed an MOU for academic cooperation between the SILS and the BALAC, thus commencing an exciting partnership that will flourish in the years to come. Waseda University is the latest to sign an exchange agreement with the BALAC program, after the Communication University of China in November, thus further raising the international profile of the program. with a student population of 45,000 and is ranked No.51 of the world’s top universities. In late November, Assistant Professor Dr. Prapod Assavairulhakarn, our Dean, signed a contract with the Dean of the Graduate School of International Studies, Ewha University (Korea). According to the contract, Ewha University’s Department of Korean Studies, in an ‘Internship Program,’ will send two M.A. or Ph.D. candidates to teach Korean language to students taking Korean courses, as well as to carry out assignments at the Korean Section, Department of Eastern Languages, Faculty of Arts, for a period of eight weeks during the months of June to August. The first phase of the agreement covers a period of four years. Ewha Womans University was established in 1886 (the seemingly odd spelling was correct at the time of its founding and is kept for historical reasons), and currently has a student population of approximately 20,000. Ewha Womans University is among the world’s most prestigious women’s universities and enjoys a reputation of being one of Korea’s best-known institutions of higher learning. In connection with this new academic relationship, Ajarn Supaporn Boonrung was invited by Ewha Womans University—and funded by the Korean Ministry of Education—to attend, in her capacity as the coordinator for the Korean Language Teaching Project, a conference at Ewha Woman’s University from January 14 to 16, 2009 in Seoul, Republic of Korea.